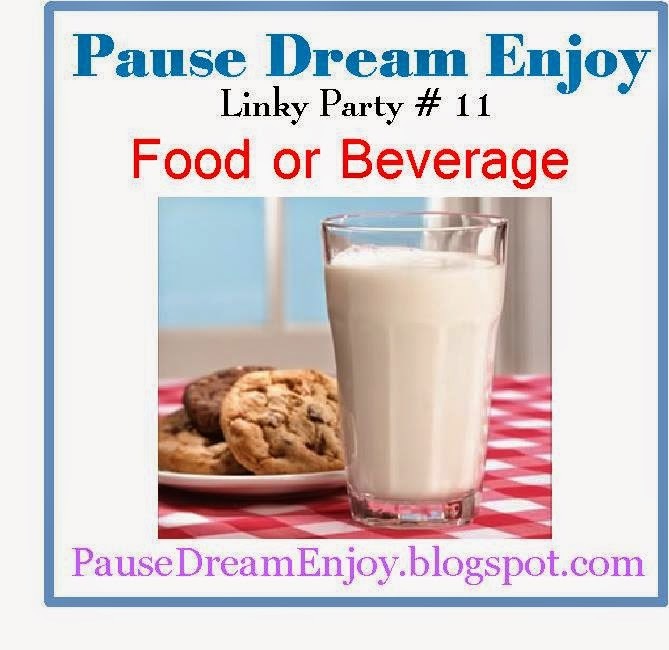 My Crafting Channel: PDE Linky Party #11 "Food or Beverage"
PDE Linky Party #11 "Food or Beverage"
I bought this cute file from the Silhouette Store. I knew when I bought it a while back that I would be using it to make my hubby's Anniversary Card. He is addicted to peanut butter toast and eats it every day. This card will be perfect for him. The file came with the word Valentine that you were to cut out and glue on. As you can see I did not use it. 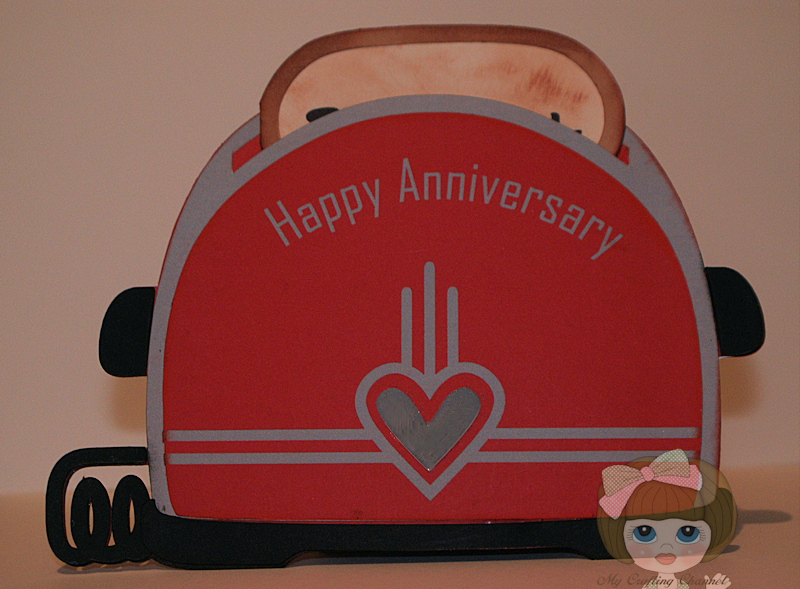 I used the text on a path to angle the words Happy Anniversary and merged them to the front layer before I printed and cut it out along with the lines and heart decals. I did cut the inner heart out and glued it on and added some glossy accents. I love how the toast fits inside the slit. This is so cute!! I love how the toast comes out of the toaster!! 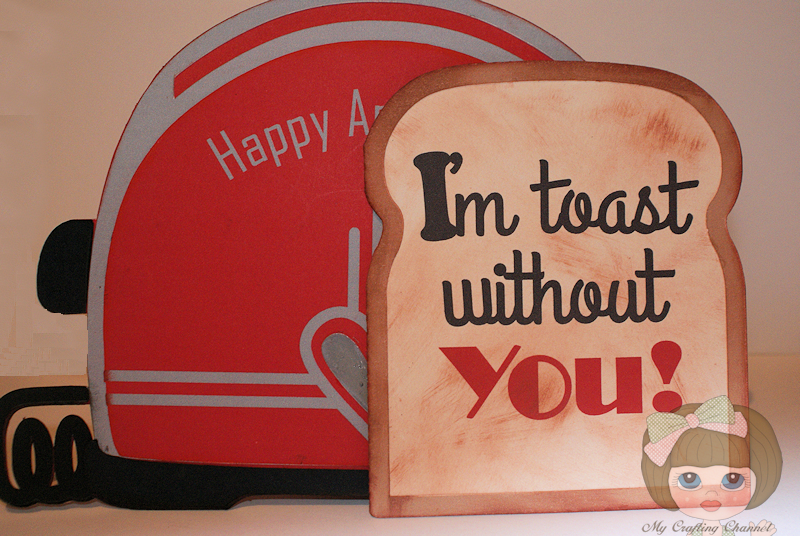 I love your toast and toaster card! This is such a cute card! I just love that cute little toaster! Oh my cuteness! What a darling card, I love this! This is adorable! Love that it even has a cord! OMG, Nana, this card is adorable!! I love it!! Have a great day. OMG! seriously TOO darn cute!! It looks like a real toaster!! I LOVE it!! 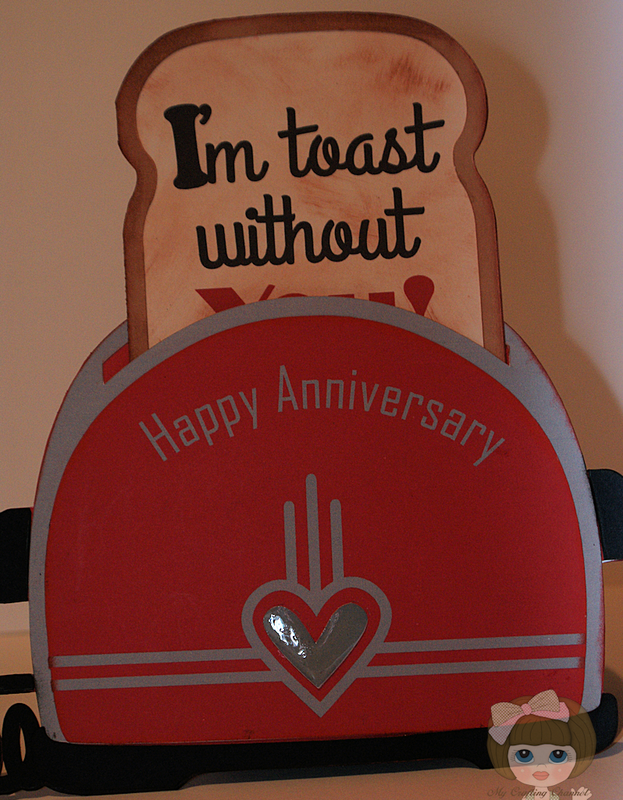 I love this anniversary card. It is so darn cute. Love the whole idea...adorable. Wen is your Anniversary? Hope I didn't miss it if so, HAPPY ANNIVERSARY! This is so cute!! Such a lovely idea! This is great - what a fabulous anniversary card.